Adirondack Funding Services is registered by the New York State Department of Financial Services - Mortgage Banking Division as a professional independent mortgage brokerage agency. Why go directly to a bank or lender when you can have all the advantages of the unlimited choices, highest professional standards, and extensive industry-related education required to meet the rigorous standards of a Registered Mortgage Broker. The experienced staff at Adirondack Funding Services is committed to helping you find the right mortgage loan program for your needs and financial capabilities. We always work for you! We understand that every client's goals and needs are different, so we offer a variety of loan programs and products to best meet your individual requirements. Ask about our flexible qualifying options! We strive to make the experience of obtaining a mortgage loan as straight-forward and smooth as possible; in order for our clients to make the best informed, sound financial choices. We use the latest industry technology to ensure that communication and your transaction moves to closing as quickly and efficiently as possible. Our team is committed to friendly service; "just like the way we would want to be treated." 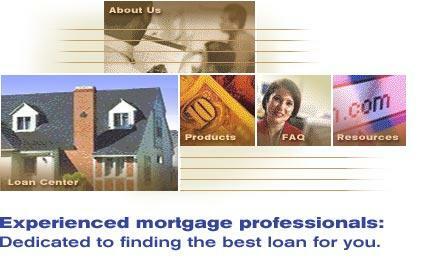 We are seasoned, experienced mortgage professionals! You can trust Adirondack Funding Services to preserve your rights and perform in your best interest; we are "The Mortgage Experts"! Robert S. Duquette (NMLS # 12710) is a Professional Member of the New York Association of Mortgage Professionals (NYAMB), the National Association of Independent Housing Professionals (NAIHP) and the National Association of Mortgage Professionals (NAMB). Adirondack Funding Services has been serving your friends, neighbors and relatives across Clinton County, the North Country, Adirondack Region and all of New York State since July 1991. Feel free to contact us anytime by e-mail at loans@adirondackfunding.com, over the telephone 518-562-0055 or 877-562-0055, via this website, or by stopping at one of our offices anytime. Don't wait; find out more about getting the best low rates, access to unlimited loan choices and the best experienced solutions in the industry. Adirondack Funding Services (AFS) is a Registered Mortgage Broker ~ Regulated by the New York State Department of Financial Services - Mortgage Banking Division ~ All loans are made through third party providers ~ AFS is also listed as a Registered Morgage Broker on the National Mortgage Licensing System website at http://nmlsconsumeraccess.org/ under NMLS # 12895.